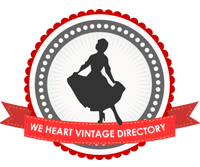 Andi B. Goode: Gab Jackets from Heyday! Anyone who follows Heyday will have already noticed these new jackets on the site but I wanted to do a little post on them because I think it's just a perfect design! 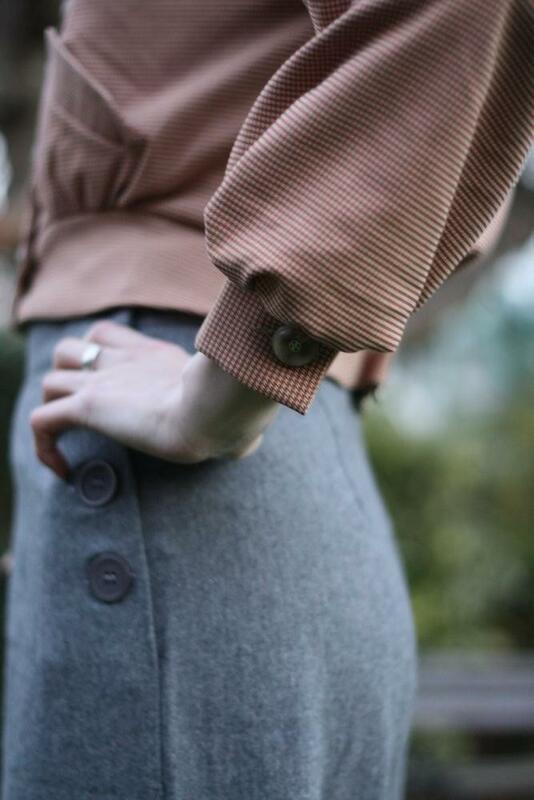 I love a nice, tailored '40s suit jacket as much as the next girl (assuming the next girl likes them, of course) but it's casual pieces like this one that really set my vintage-loving heart a-flutter. In my experience, casual vintage jackets like this aren't that easy to come by - I've seen Pendletons and suit jackets a-plenty but I don't often see anything like this one. 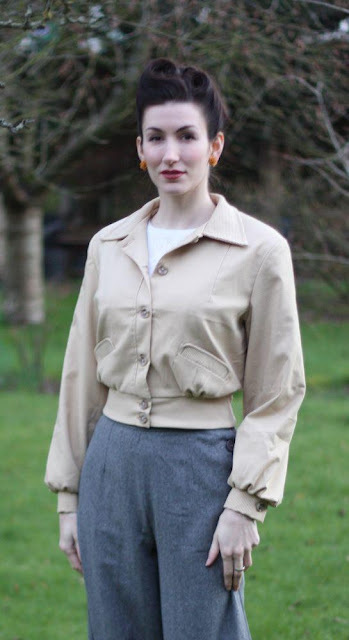 I love the fitted waist and the gathering at the back (pictured below) - as the description on the site says they go perfectly with Heyday's '40s style trousers (which you can see in these pictures). But I think they'd go equally as well with an a-line skirt or even over a casual dress! I think it'd be perfect to throw over a cute dress to head off Lindy Hopping on a cooler night or a nice, casual look for shopping or, well, the possibilities are endless, aren't they? What do you think, fantabulous readers - do you love the jacket design as much as I do? And a little birdy told me about something new and exciting coming soon so keep an eye on the site and on Shona's twitter to stay updated! I adore this style of jacket too--Heyday sure did a fabulous job with this design! I saw these at the weekend when we all did an event together and I have to say they are superb!! This is really cute..I need more cropped jackets in my life..oh goodness, I just wish I could splurge on it! I love that last photo with button details. I love the subtle houndstooth. Looks like a great cut! Think of it as personality dialysis! Oo-de-lally, oo-de-lally, golly what a day.